Denmark’s most famous spinster Princess Elisabeth is dead. She was 83 – the same age as Prince Henrik – and had been ill for a long period of time. She was the cousin of the queen, the daughter of Prince Knud, the younger brother of previous monarch King Frederik IX, and 12th in line to the throne until her death. She never married and therefore never lost her title of princess, unlike her brothers Ingolf and Christian who married commoners and were downgraded to counts. However, she did have a long-term relationship with the documentary filmmaker Claus Hermansen, who died in 1997. She once remarked that she never fancied the idea of having “screaming” kids. In recent times, Elisabeth was a regular guest at dignitary events across the country and tireless in her work for good causes. 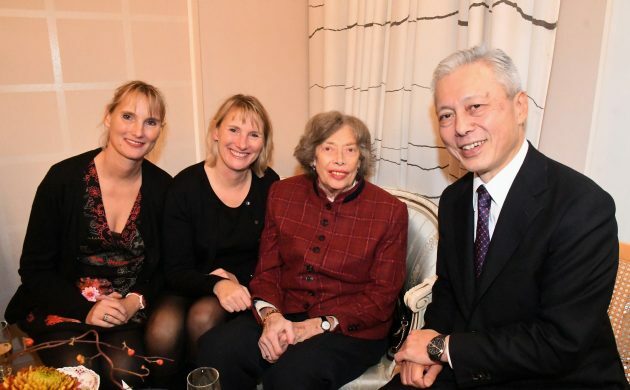 Previously she worked for the Foreign Ministry from 1956 to 2001, serving at the Danish Embassy in the United States for four-year periods in both the 1970s and 1980s. Her father died in 1976 and her mother Caroline-Mathilde in 1995, and three years ago she moved back to her childhood home of Sorgenfri Castle. Her full name was Elisabeth Caroline-Mathilde Alexandrine Helena Olga Thyra Feodora Estrid Margarethe Désirée, Princess to Denmark. She will be buried at Lyngby Church.